Described by The Daily Telegraph as ‘in a class of his own’ James Baillieu has been the prize-winner of the Wigmore Hall Song Competition, Das Lied International Song Competition (in both 2009 & 2011), Kathleen Ferrier and Richard Tauber Competitions. He was selected for representation by Young Classical Artists Trust (YCAT) in 2010 and in 2012 received a Borletti-Buitoni Trust Fellowship and a Geoffrey Parsons Memorial Trust Award. 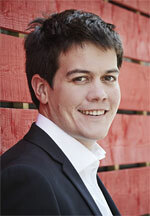 James has given solo and chamber recitals throughout Europe and further afield and regularly records for BBC Radio 3. He collaborates with a wide range of singers and instrumentalists from the Elias and Heath Quartets to Mark Padmore, Sir Thomas Allen, Katherine Broderick, Annette Dasch, Pumeza Matshikiza, Ben Johnson, Allan Clayton, Gerard Collett, Marcus Farnsworth, Jared Holt, Eri Nakamura, Catherine Wyn Rogers, Jacques Imbrailo, Sarah-Jane Brandon and Kishani Jayasinghe. Festivals and venues have included Wigmore Hall, Bridgewater Hall, National Concert Hall Dublin, Berlin Konzerthaus, Musikverein, Festpillene i Bergen, Spitalfields, Aldeburgh, City of London, Cheltenham, Belfast, St. Magnus, Brighton, Aix-en-Provence, Derry and Norfolk & Norwich Festivals. During the 2011/12 season he gave solo recitals in the Nottingham and Leeds International Series and appeared with the Ulster Orchestra (broadcast by BBC Radio 3). He recorded Schubert with flautist Adam Walker and toured the UK with Noah Stewart and Kathryn Rudge. Engagements this season include recitals at Wigmore Hall with Lisa Milne, Sophie Bevan, Ian Bostridge, Ailish Tynan, Mark Padmore and Adam Walker and recordings for BBC Radio 3 with Ben Johnson and Robin Tritschler. An experienced coach, James has worked regularly at the George Solti Accademia di Bel Canto in Italy, was a repertory professor for the Encuentro de musica y Academia de Santander in Spain, and continues to coach for the Jette Parker Young Artists Programme at the Royal Opera House, Covent Garden. He is an alumnus of the Britten-Pears Young Artist Programme, a scholar for the Samling Foundation, has participated in the European Liedforum in Berlin and in 2011 worked with Gerhard Schulz at the International Musicians Seminar in Prussia Cove. Born in South Africa, James studied at the Royal Academy of Music in London with Michael Dussek, Malcolm Martineau and Kathryn Stott. He was appointed a Hodgson Junior Fellow in 2007, a Professor of Piano Accompaniment in 2011, and awarded an ARAM in 2012.